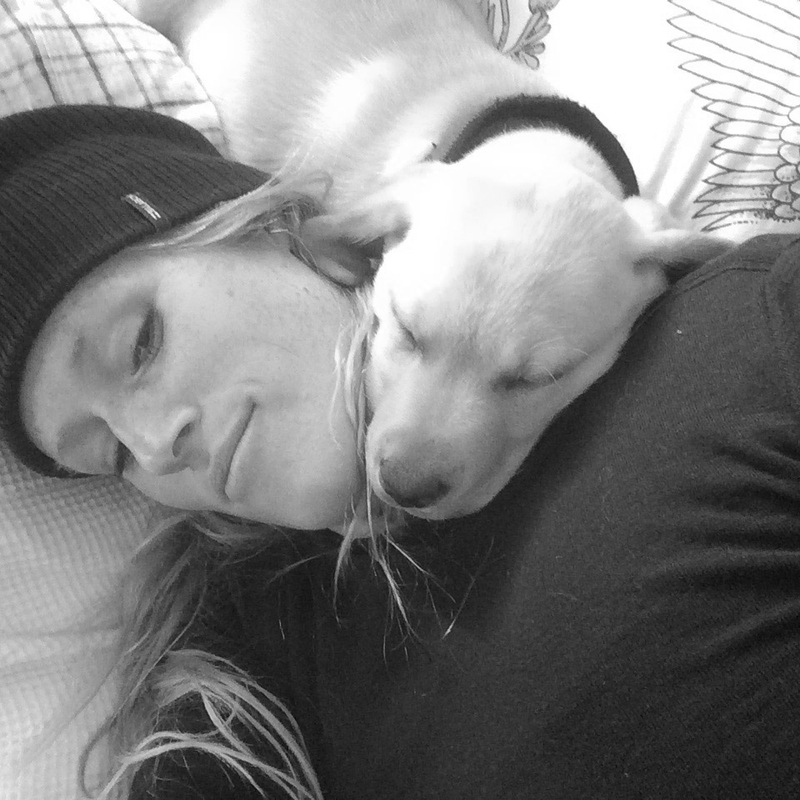 As a surfer, paddler and ocean lover I was pretty eager to get my new Puppy in the water with me. Too eager it turns out. 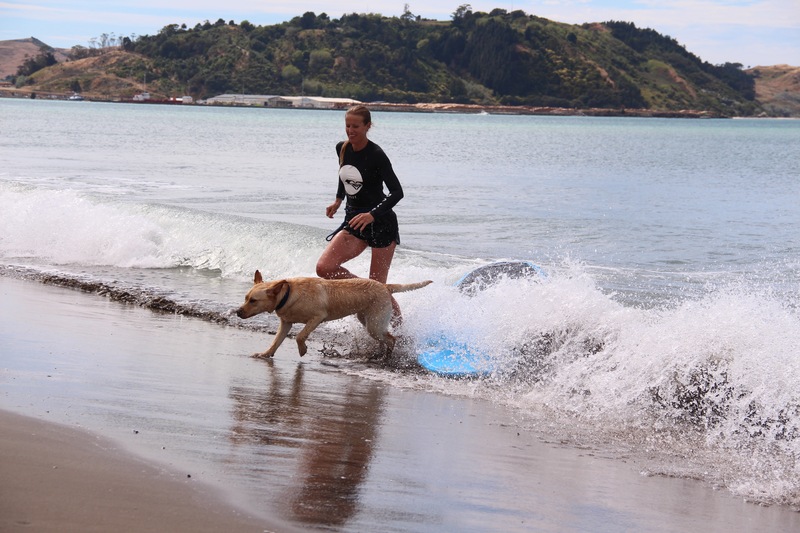 My pup fell off my surfboard in to cold sea water over his head before he knew he could swim, that was it, not keen on water after that. Fortunately, I am a surf coach. I have patience and I know what it takes to get through the learning phase of surfing. But first I had to start from scratch with my little pup-he needed some water confidence to be able to give it a try. Guys, don’t panic if your dog does not like the water, it can be helped. I figured out a way to get my pup from “not getting in the water” to surfer. Patience is the key if he doesn’t take to it right away. With the right approach you can build his confidence and help him to enjoy water. Build a trusting relationship with your dog. 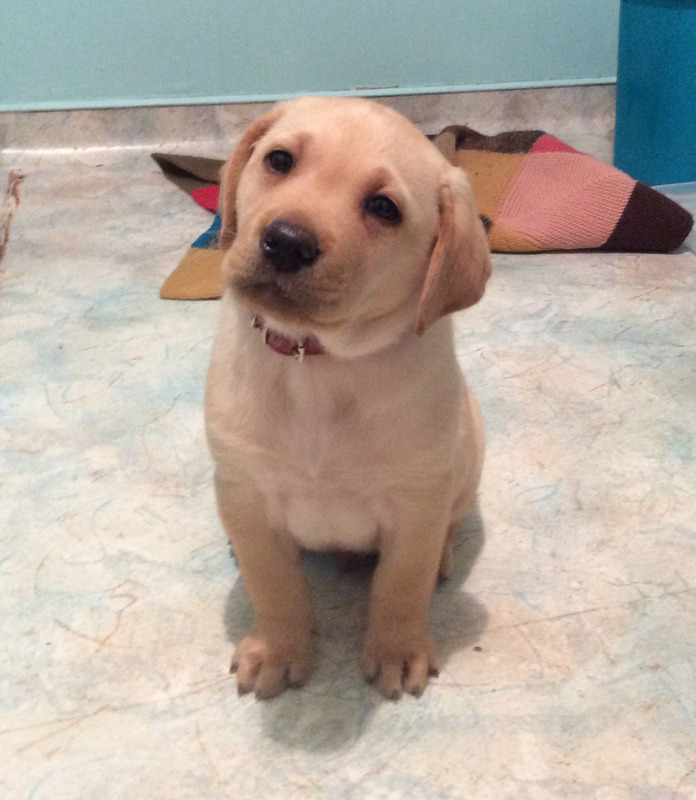 Right from the get go your dog needs to trust you and feel safe with you. Treat him in a loving and fair way so that he knows you will be there if he gets scared. From here you can ask him to step outside his comfort zone a little bit more as he will feel safe in your presence to do so. Introduce your Dog to water that he has a gradient in to the deep section so he can easily return to where his feet touch the bottom if he gets scared. As the weather warmed up I was walking along the beach with Benny and on the low tide some nice big deeps pools of water had been left in the clefts of sand and had warmed up. I decided to show Benny in this paddling pool environment that he could swim. Little by little he would follow me deeper into the pool, have his feet off the ground for a second and doggy paddle back to the shallows. After a few goes we were both ecstatic, this boy could swim. He would chase me from the shallow end to the deep end and up the other side, swimming and jumping. We continued this day after day, building his confidence in the water. Once swimming confidence is built in flat water, use things your dog likes to retrieve to get him confident in the Ocean. Throw them in to shallow water and then little by little go deeper. If your dog is not much of a retriever, he might go in because you are going in. –Be careful though, a dog that is swimming in the water because you are there is likely to want to try and swim close to you and can claw you while swimming too close-ouch! Sticks were retrieved from over broken waves. After 1 month Benny would jump over waves that were over his head to get a stick-amazing considering he wouldn’t even swim 4 weeks prior. A good friend of mine Emma mentioned that Dogs, like kids need regular but short attempts at things. Too long a session and they get tired and unlikely to want to do it again. 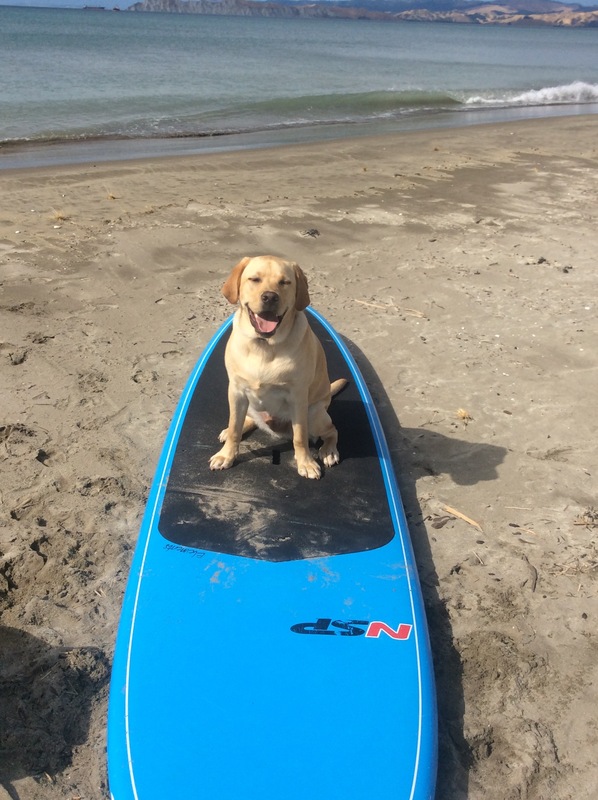 Before you get your dog on a surf board, it helps that he can obey certain commands like “sit” “stay” and “lie down”. 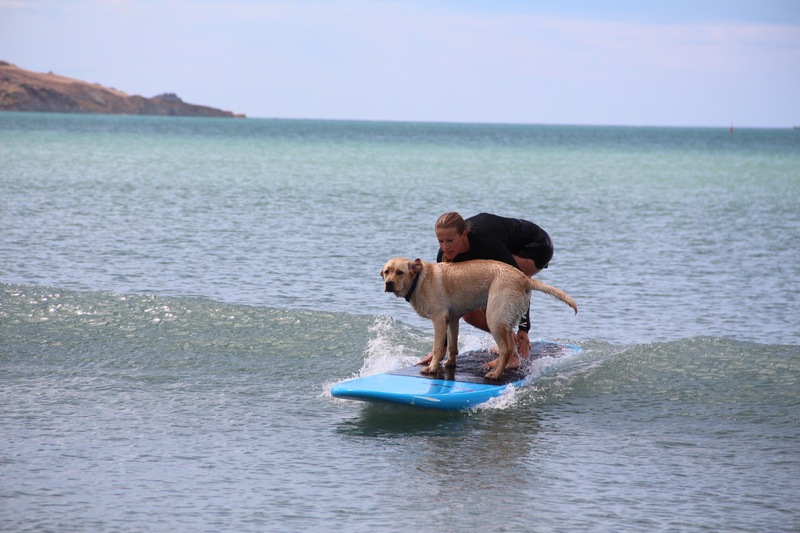 This is helpful to get your dog in the right position on the surf board. Once these commands are mastered, you can get him to apply these on the board. Make sure your board has a lot of traction (grip) on it so that your dog doesn’t go sliding off or do the splits. You don’t want to injure your precious pooch either, so take care to provide grip on all the areas he will be. I bought a sheet of Grip from my local surf shop and cut it up to custom fit it to all the places my dog would be on the board. When I took the board down to the beach, Benny wanted to bite it and bark at it. One experience on the water on this moving wobbling board and he was scared off and wouldn’t get back on. Once on the board, Benny would get nervous about how to get off. So I went back to something he knew-jumping in to the water to fetch sticks. I would throw sticks for him once he was on the board, so that he was confident in jumping off. Time after time, session after session his board confidence, balance and trust in me would grow. He got to the point of willingly jumping on the board without reward because he knew it meant he got to be where I was. Then it was a matter of getting him centered on the board at the right time to catch the wave. 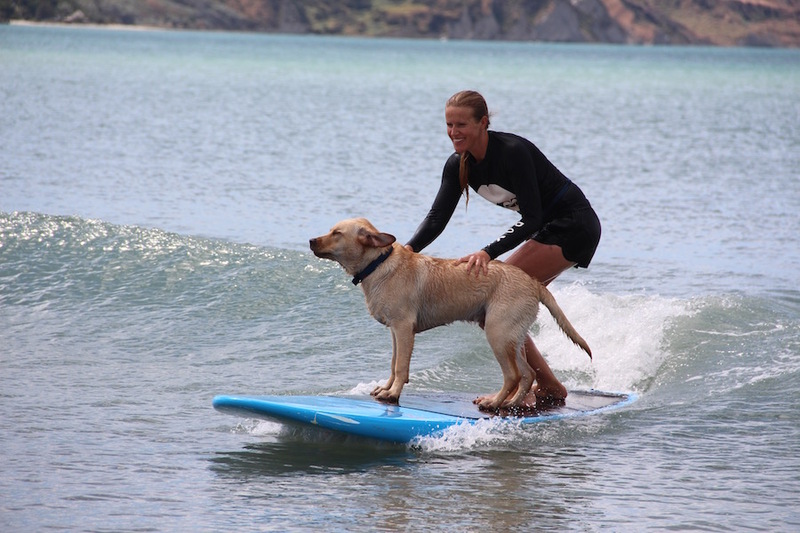 Once your dog is confident on the board and obedient to sit in the position you are asking him too, its time to start attempting waves. 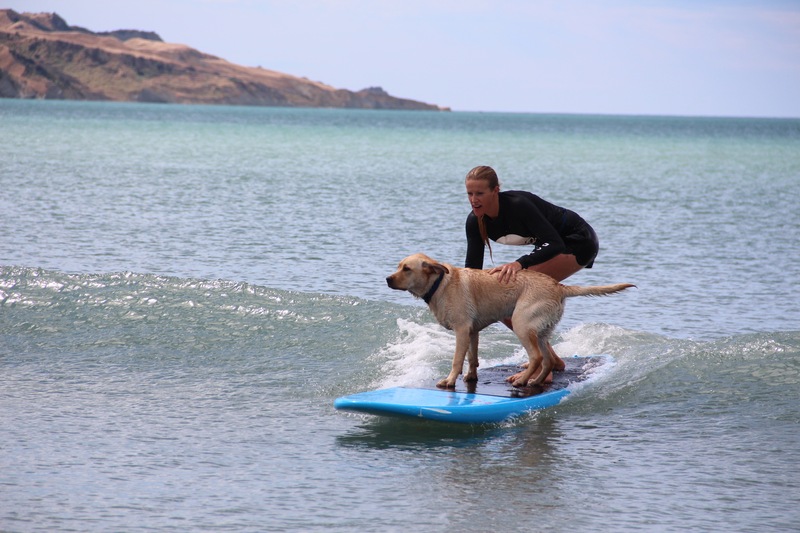 Practice in white water as it will just move your board straight or on really small waves so there is no big drop down the face of the wave to throw your dog off balance. Its all about taking things little by little and showing your dog, as explaining is not possible! I make my pop up slow and steady and put my hand on the dog to steady him if he needs it. Then as you are riding keep praising him for staying where he is. Tell your dog “good dog” when he stays on the board in the correct position. Lots of praise for anything he does right is really important as the sea takes all of us out of our comfort zone. 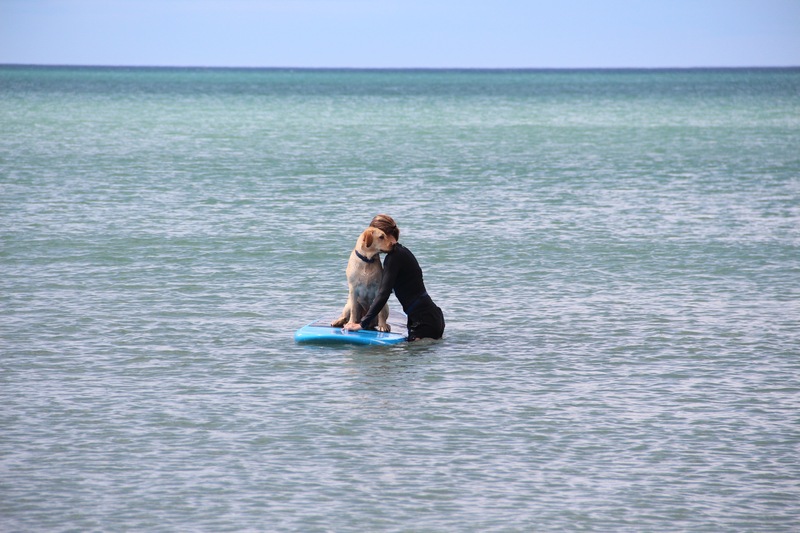 You can’t explain to a dog that “actually that was a set wave and all the other waves from now on are going to be smaller” You have to really start small and slowly build their confidence on the board. How cute is his little face in this shot. Pretty special moment captured after all our time together. 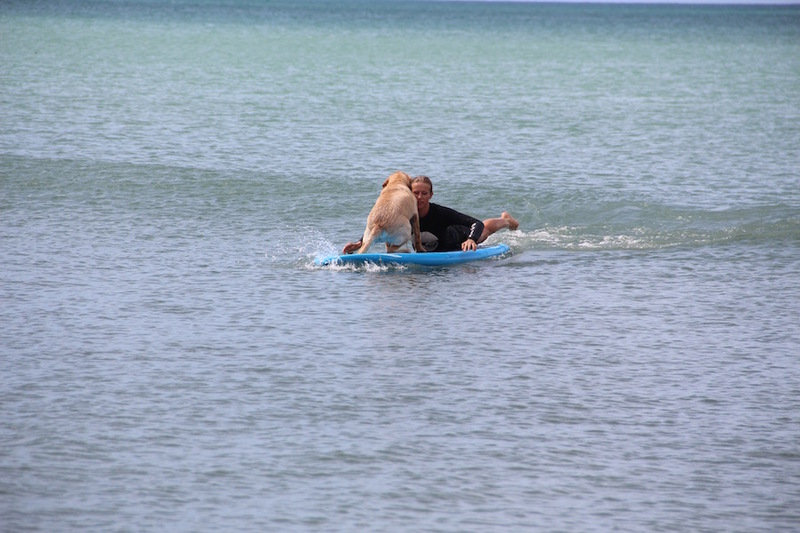 Lastly, don’t focus too much on that end goal of wave riding with your dog. It doesn’t help your patience. Look at each day in the water or at the beach with your dog as a good day because you are together. If he decides that he doesn’t want to get on the board, go back to doing a beach related activity he does enjoy-fetching sticks, chasing seagulls, digging holes-whatever. If both of you aren’t having fun its really not fair or rewarding. Good luck and feel welcome to let us know how you get on!